The dance piece is a response to events of last year – including violence at a white nationalist rally in Charlottesville, Virginia, and the mass shooting at a concert in Las Vegas – and how such crises can bring out the best in people. “In The Fullness Thereof” will be performed at February Dance. The University of Illinois dance department will present February Dance from Feb. 1-3 at Krannert Center for the Performing Arts. 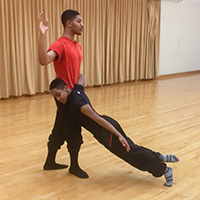 Dance students William Ervin and Mya McClellan rehearse for a February Dance performance. The dancers start out as a tight unit, moving close to one another. The dance “symbolically lends itself to the idea of weight on a body, on shoulders, and how we have to rise up and shake that off and move through it,” Taylor said. The choreography is a combination of contemporary ballet with some modern dance elements. It reflects the neoclassical ballet roles Taylor has performed, including movements inspired by George Balanchine’s choreography. February Dance will also feature “Terminal C,” a rhythmic work by dance professor Kemal Nance that uses the African dance technique Umfundalai to look at social resistance and protest in an airport setting. Linda Lehovec, also an Illinois dance professor, will present “(My) Tom,” which memorializes the music of Tom Petty. A piece by guest artist and U. of I. alumnus Grace Courvoisier, “Mountain Dew Honey Spring,” will be performed by a large cast of women from the dance department. The dance takes a realistic look at love and romance from a female perspective. 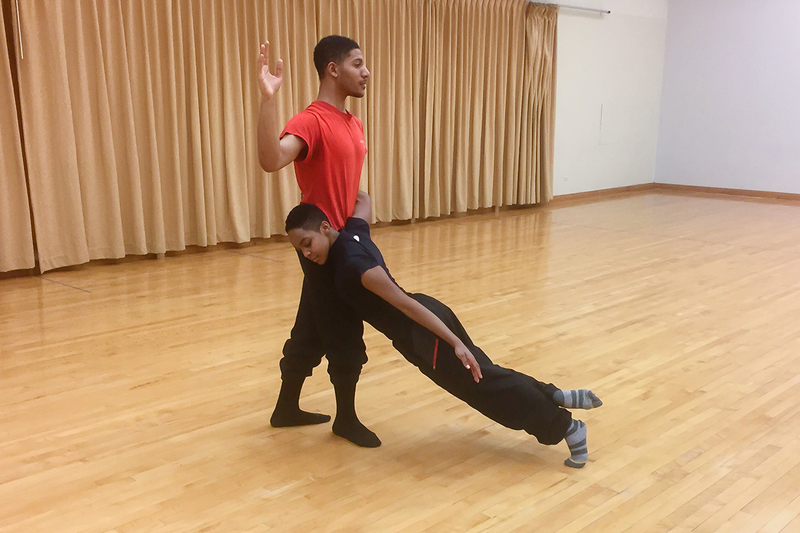 February Dance also includes a collaborative work, “vestigial,” by graduate student Leah Wilks. Editor’s notes: Tickets for February Dance are available at the Krannert Center box office, 500 S. Goodwin Ave., Urbana, by calling 217-333-6280 or online at krannertcenter.com. For more information, contact Rebecca Ferrell at rferrel@illinois.edu.